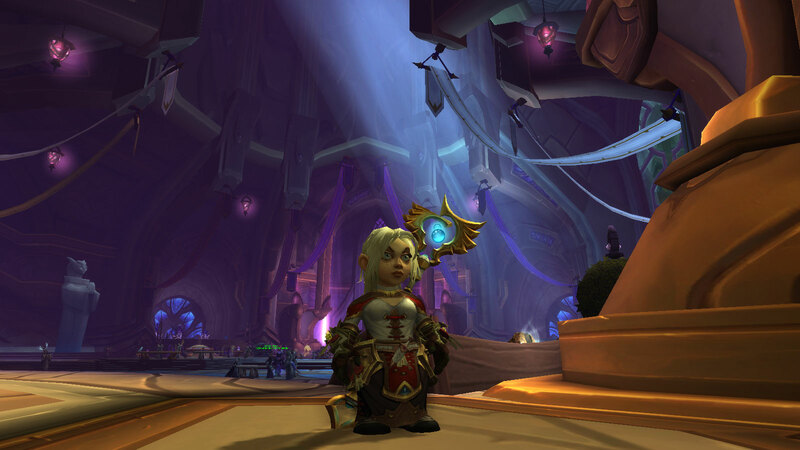 A Weekend in Broken Shore: Artifact Quests in 7.2. It was the highlight of the weekend. 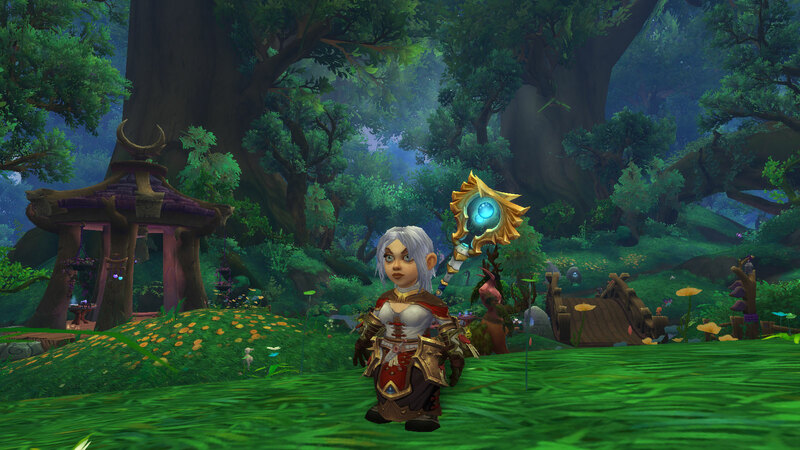 I drove all my alts to acquire the knowledge level of 26, place orders, and run some quests for unlocking new traits. I ran them in a casual way: whenever I felt to. The important thing is not to get exhausted – the expansion launch days taught me a lot about overdose. If the weapon name is in bold, it means I did the quests and unlocked new traits for it. Of course I’m doing every weapon, but step by step. Legion robs Bank of Dalaran for the heart of Highlord Kruul, and you investigate with Kor’vas the Illidari. 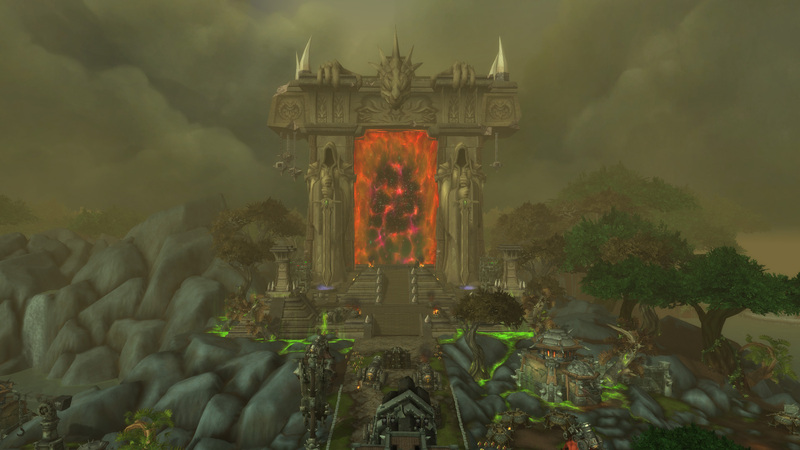 It’s walk and talk in the city, then you transport to Hellfire Peninsula staircase and fight waves of mobs solo while Kor’vas holds a portal open. It’s a hard quest, and dying is not uncommon – imps scorch very hard, and you just lack magic defenses, self heals or dps power to kill the summoners fast. Still, you can kill some, die if you die and continue killing them after your resurrection. There’s a new wave of crazy ghosts from Black Rook premises upon Gilneans, so you are on errand to help them. Although it’s a healer quest, you are not healing or dispelling anything much. You heal 8 Gilneans in the beginning, and then you can switch to DPS or tank spec. You investigate an undead mage case – who was corrupted by a succubus. 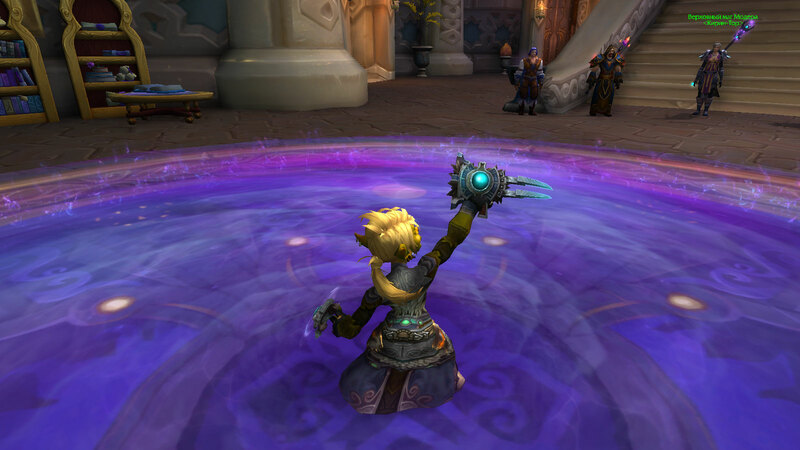 First in Dalaran, then you work with a warlock champion for clues and portal to Azsuna. 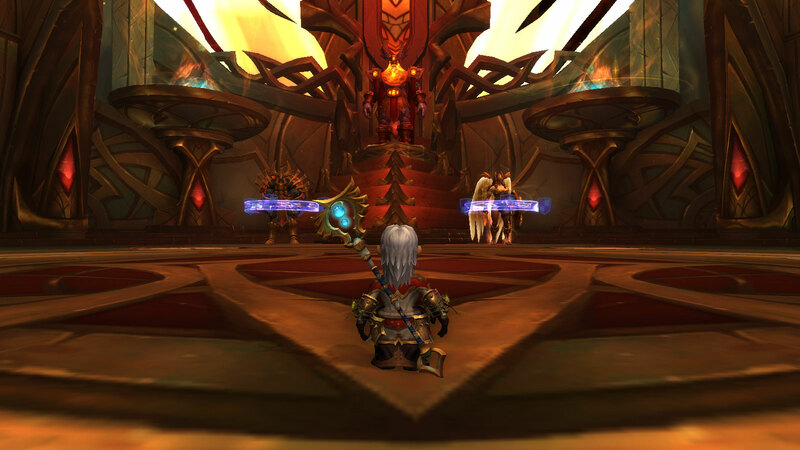 You investigate a case of a necrolyte cult in Dalaran with a Blood Elf knight – his brother is corrupted. Underbelly, then you go to a cave in Broken Shore. You are sent to Azshara zone in Kalimdor to investigate a case of a famous mage Xylem – apparently he read some bad tome, and it corrupted him. You are sent to Highmountain to stop Blood Totem tauren who use fel magic to twist the creatures and prepare an assault on Thunder Totem. You are sent to Jandvik, then to Stormheim to help Skovald’s daughter unite the Vrykul tribes. And this is it. If you saw these quests, you didn’t miss any lore. The common point is that major villains always escape: we will deal with them later. …or, more important, Legionfall reputation. Micromantica is actually digging reputation – and in a casual way. She doesn’t farm anything, thank gods. 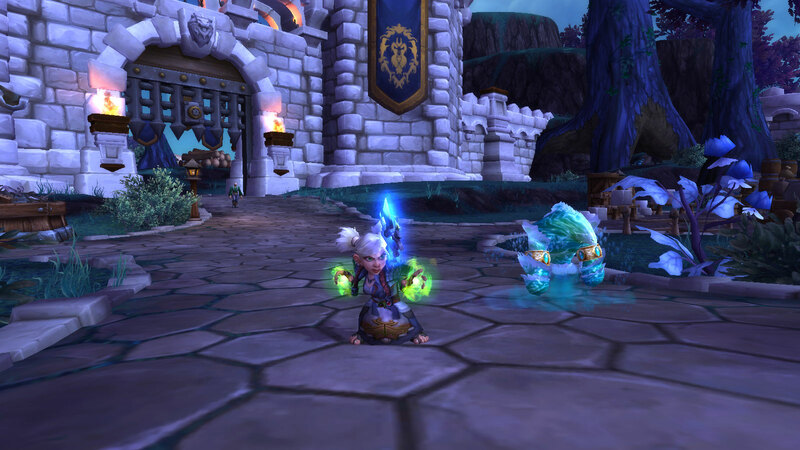 I just grab every world quest available – and the batch of four actually takes 15-20 minutes. So, in the first week of this casual gameplay, I will be already Honored. And I barely had one order hall mission for rep tokens. What Blizzard says: this step for flights is gonna take us 2-3 weeks. My alts don’t run Broken Shore quests – I just don’t see any reason now. Other reputations for toons are somewhat frozen in a stalemate a bit over Honored/Revered borderline. 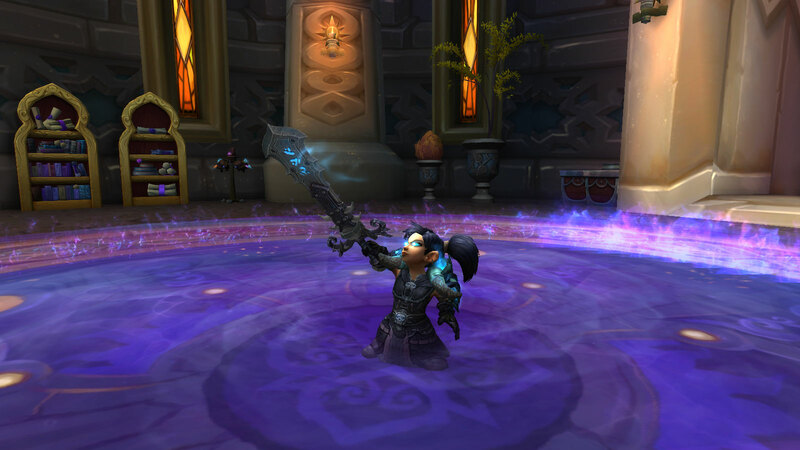 I would casually take a toon and run an emissary now and then. We’ll be there. Nether Shards – I don’t count them. Eventually I would buy some toys, but armor tokens are about the mogs that I already have, so I better upgrade through raids. Obliterum – all the same. Micromantica boosted a 835 item to 880, and it’s the highest ilvl item I have except legendaries. 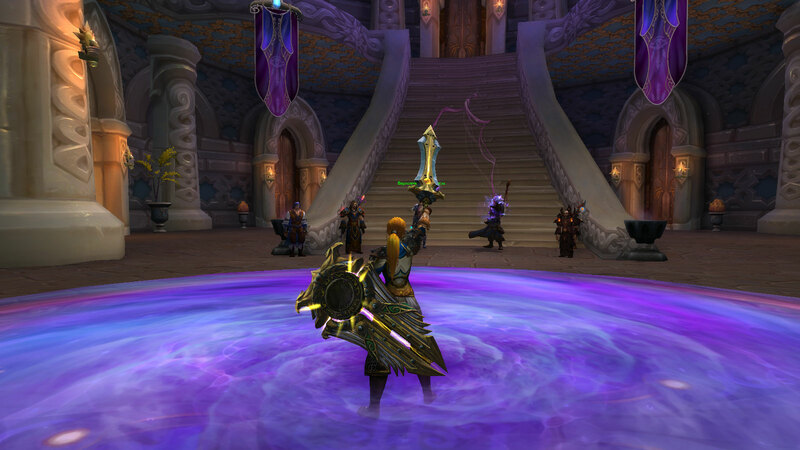 But its appearance doesn’t change like it was with upgraded weapons in Draenor, so I just go: meh. Doesn’t worth bothering. In other words, it’s nice to have options to raise your ilvl, it’s just I’m not too hungry for ilvl, and so I won’t use them. It’s an amusing routine actually. I gathered some mats throughout a month and didn’t spend them. And Darkmoon Faire is a perfect time to check your state of skills: revise the collected mats and craft a lot of stuff to raise skill level along with the Darkmoon +5 quests. Like I said, professions in Legion mean nothing to me. I only want to cap 800, do all the mogs, toys and mounts, and forget about professions until the next expansion. I’ve ran the profession quests for every toon in Darkmoon Faire, and this time my Leatherworkers, the monk Paitsu and the hunter Lizgun, both dinged 800. Which means that I was able to craft myself a moose! I’ve tried the potion of night or whatever it’s called. It’s too cool to be true, and I love it. I need to buy more of this. 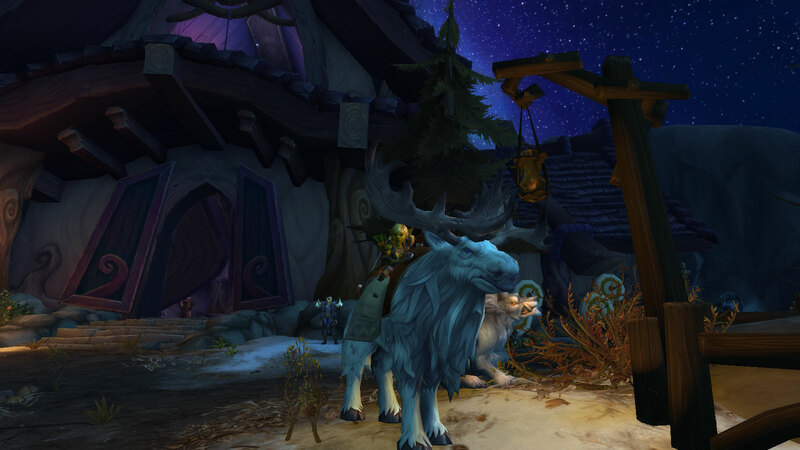 No screenshots of it yet (the picture above is actual Highmountain nighttime). The coolest thing in 7.2. is that your head turns after your target’s face now. Now it’s not like you’re talking to a person and ignore him completely: your toon will look at his/her face. The most benefits here are for Gnomes and Goblins! They actually raise their chins if they’re talking to taller NPC or players. The days of speaking to kneel caps and belt buckles are over! – I mean, c’mon, girl! Take it easy! 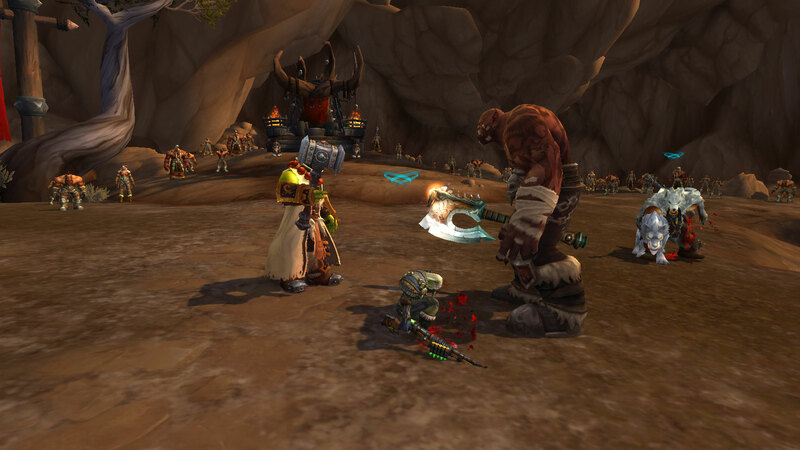 Taller races like Elves, Tauren and Draenei would tilt their heads down to talk to shorter races. And you actually pay attention to your enemies now, not looking in the horizon while cutting off limbs. Suramar dungeons and Karazhan wait for me to explore. Didn’t touch them yet, but it’s in week’s plans of course. I want to see them – and then it’s just single runs for quests. They won’t be included in my dungeon routine – because I don’t have any dungeon routine and never will. 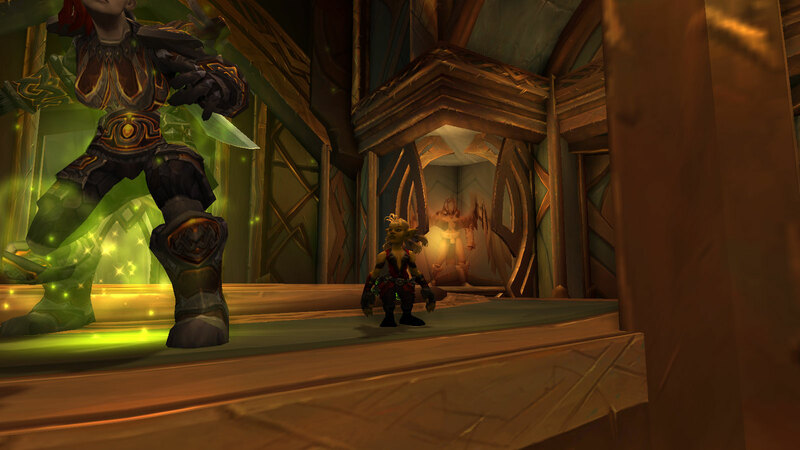 Didn’t have time to continue my raid runs yet – I think I’m gonna do them when I’m done with weapon questing. Waiting for invasions this week. I wonder how they would work – the most important thing here is schedule of course. Of course I didn’t rush into Draenor upon its opening! Even an hour before the event, the clouds and grounds around the Dark Portal were dark with swarming mounts. So I went to sleep and I’ve played like hour and a half in the morning with now a reasonable amount of other players in the starting zone. Here are my first impressions. There will be no story spoilers (at least I’ll try not to).